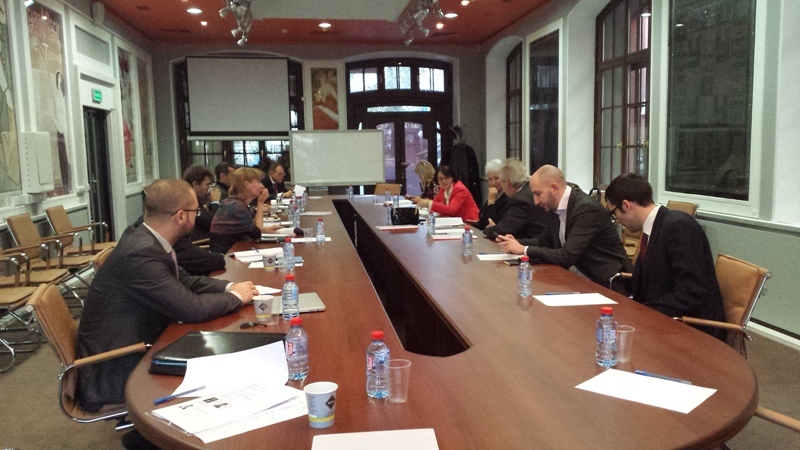 In Moscow, October 29, the meeting of the RVCA Administrative Council took place. Summing up of the totals of awarding the First National award "Venture Investor 2014" founded by RVCA and JSC RVC became a priority question of the agenda. The leaders of the venture capital Russian branch who managed to overtake their colleagues were awarded in six nominations. Noting successful conduction of the "Venture Investor 2014" awards ceremony the participants of the meeting unanimously approved the suggestion on carrying out in 2015 of the Second "Venture Investor" National award. "From the very beginning we assumed that this project won't be a something ephemeral, – Albina Nikkonen comments the offer to make this Award annual. – However, we didn't know how the market participants would respond to our initiative to choose the best of the best. The result surpassed all our expectations: the representatives of funds not only sincerely enjoyed the victory, but also stated a wish to expand the list of nominations, as the number of players in the market increases every year. The victory in any nomination founded by RVCA will be a quality indicator of achievements of a company". Also the Administrative Council members discussed the initiative of creation of working group for interaction with industry, activity of which will be aimed at creation of effective communication of investment community with industrial sector of the economy. The RVCA CEO Albina Nikkonen presented for the members of Administrative Council the "Methodology of collecting and analyzing the key parameters of the Russian venture funds' activity" which has been developed recently by Joint analytical group for the purpose of harmonization of the existing methods of assessment of the Russian venture market indicators. In completion of the meeting’s work, the members of Administrative Council reviewed the applications for RVCA membership having arrived to the Executive directorate. All the candidates – JSC Kama Investment Management, Union of the innovative and technological centers of Russia and Fund for assistance to development of venture investments into subjects of small and medium business in the scientific and technical sphere of the Tver region – which had expressed desire to become active participants of the process of the venture capital branch development, and, as a part of RVCA, to promote interaction between all participants of the venture market in Russia, were recommended to the General meeting of the Association for consideration as candidates for membership. JSC Kama investment management - investment and consulting company having conducted the activity in the market of Russia and CIS countries since 2012. Work of the Union of the innovative and technological centers of Russia is directed to activation of entrepreneurial and scientific and technical operations, assistance in creation of new innovative companies and support of the already existing ones, organization of networking of scientific organizations, business and innovations, assistance to realization of the Russian and international programs of scientific researches and innovations’ support. Fund for assistance to development of venture investments into subjects of small and medium business in the scientific and technical sphere of the Tver region – non-profit organization, activity of which is aimed at development of the system of venture investments in the subjects of small and medium business.